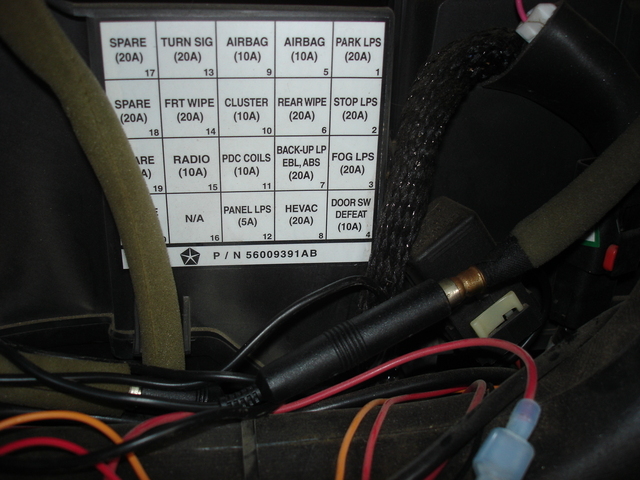 I don’t want to replace the head unit because on a soft-top Jeep it would surely be stolen. I also didn’t want to use a wireless FM modulator for my mp3 player because they don’t work that well. I’ve often had problems when driving where the station starts coming through, and static is louder than the music. The solution: install a WIRED FM modulator! I did a small amount of research which lead me to buying the Bosch brand wired FM modulator from Crutchfield.com because it’s reviews were better than any of the comparably priced units. 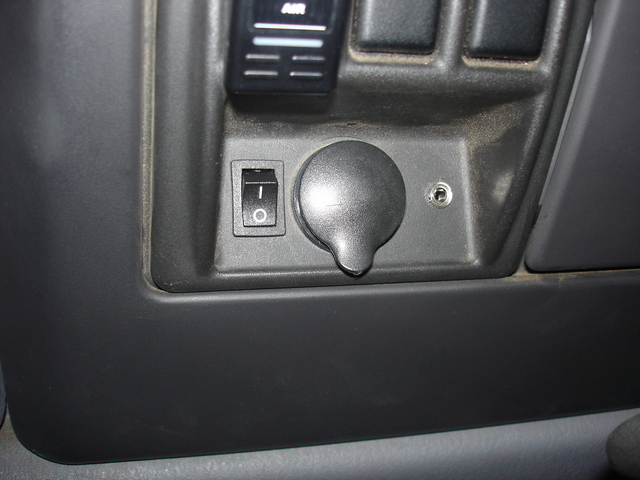 Installation is a snap, especially in a Jeep. 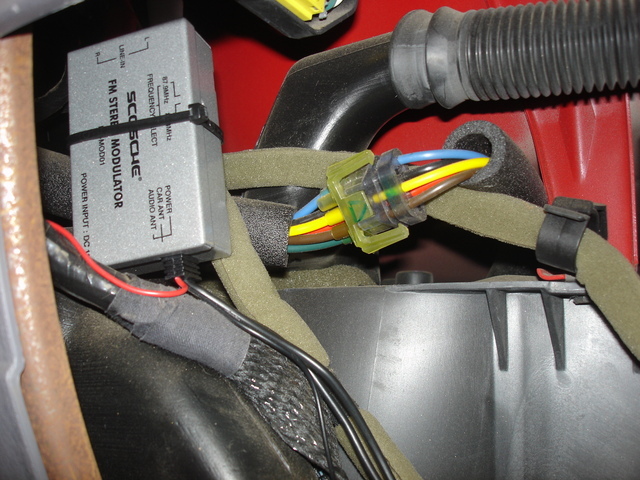 The antenna wire has a connector behind the glove box, so removal of the entire head unit is not necessary! All I did was remove the glove box, and hook up a couple wires. The modulator has 2 RCA jacks for input that I put to a headphone style jack to use a patch cable with. It has a level input, and two antenna wires (one male, one female). The two antenna wires go inline with the antenna, and you hook up power and ground. Mine also came with a switch. I used my dremel tool to create a nice spot around the 12V jack for the switch and the RCA jack.